Disclaimer: The Mamas Network has been provided me with press pass tickets to attend The New York Birthday Show with my family. All opinions are my own. The New York Birthday Show comes to the New York Hall of Science in Queens on October 20, 2013 with the biggest birthday party ever to provide families with tons of birthday experiences under one roof. Open to parents and children of all ages, attendees will have a blast at the ultimate birthday party and receive unprecedented insider access to some of the best entertainment, hands on activities, dessert samples, and DIY products currently available in area. I have never been to The Birthday Party Show before and I'm so excited to be going next week! The Boy will be 8 years old in January and it's been years since we've thrown him a real birthday party. Every year it's the same thing - should we or shouldn't we? But this year, I really want to do something special. 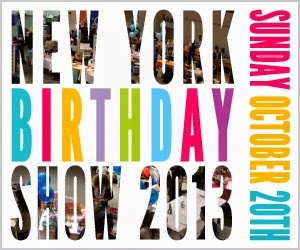 I'm hoping The New York Birthday Show will give me some ideas. It's also going to be held at The New York Hall of Science - one of the many places we go. 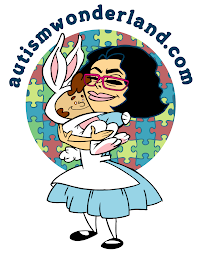 Amazing giveaways from the show’s over 65 exhibitors including fabulous prizes like a $500 spa birthday party from Glitzy Chicks Spa Parties, 2 hour face painting package worth $150 from ShellBell Face Painting, a 1 hour clowning package worth $300 from Bubbles the Clown and more! All Day Access to the New York Hall of Science and the Science Playground. If you've never taken your kid to the Hall of Science, this is the perfect time to go. All kids who come in costume receive a FREE trick or treat bag to collect goodies from our exhibitors. Disclaimer: The Mamas Network has provided me with press pass tickets to attend The New York Birthday Show with my family. All opinions are my own.